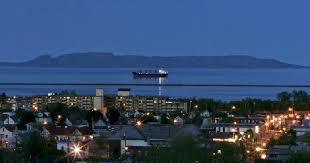 DISTRICT CONFERENCE IS IN THUNDER BAY, ONTARIO, CANADA! With an inspiring theme of “Building Bridges, Goodwill, & Friendship” acknowledging Rotary International and the capacity of Rotary, Rotary Clubs and Rotarians around the world, this conference is sure to “make a difference” through goodwill and friendship. You don't want to miss this! Our District Conference was a huge success! Thank you to everyone who worked diligently to make it all come together. Lodging can be reserved at the Valhalla Inn by calling 807-577-1121 or online at www.valhallainn.com. 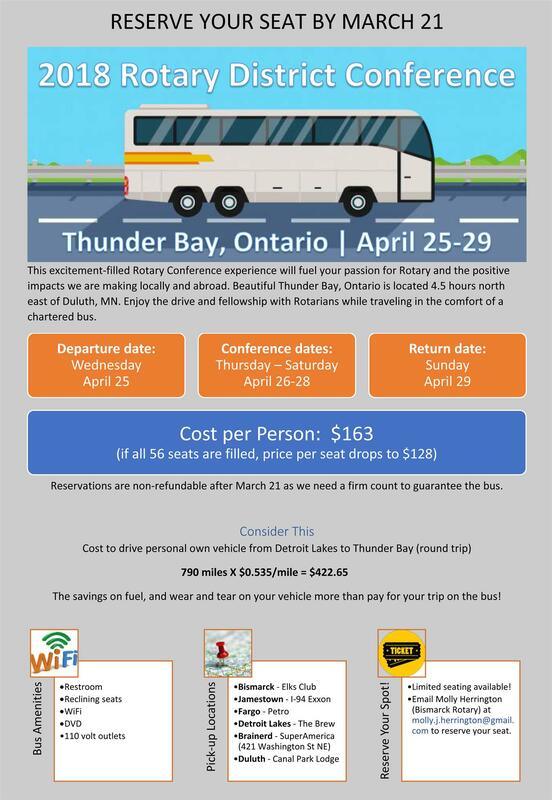 When reserving your lodging, reference Rotary District Conference or quote booking code 1804265580 to take advantage of the Rotary rate. Rooms reserved include standard lodging; two queen or one queen with sofa bed, at the special rate of $119/night-Canadian. Lodging reservations must be made by March 26, 2018. Rotarians wishing to reserve lodging after that date will not be guaranteed a room or the special Rotary rate. We have a transportation option for conference attendees! This transportation option includes a FUN experience at a GREAT PRICE!